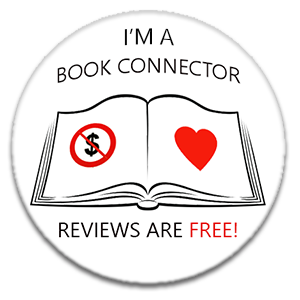 When I first started to plan this feature I got really excited about being able to promote not only some brilliant authors and their wonderful books but the incredible book bloggers out there, many of whom I consider dear friends. What I didn’t consider is that it would allow me to discover new blogs. And that is exactly what I have done with the brilliant Consumed By Ink, run by Naomi MacKinnon. Consumed by Ink focusses mainly on Canadian fiction and I’m now a fully fledged follower (stalker) of this awesome site. Definitely worth a visit! #R3COMM3ND3D2017 is where I invite both book bloggers and authors to step up to the plate and recommend three must-read books. That’s pretty much it as far as rules go, apart from the three books chosen must have been published in 2017. It’s the 200th anniversary of the publication of Jane Austen’s Persuasion. If anyone’s already re-read Persuasion and looking for something more, this is a great option. Butler doesn’t mess with the story already written, but extends it instead, showing us a darker side of some of the characters and of Jane Austen’s world. Very well done. I’ve been reading through a list if fiction novels set in or around Halifax before, after, or during the time of the Halifax Explosion (December 6, 1917). Dazzle Patterns is a new addition to this list, and it was everything I hoped it would be. I’ve read several now, so it’s no small accomplishment to wow me at this stage. And it’s come out just in time for the 100th anniversary of the event. A couple of years ago I read Susanna Moodie’s book, Roughing It In the Bush, which is about her experiences as an immigrant to Canada in 1832. I found her first-hand account fascinating. The Lost Diaries of Susanna Moodie is a fictional account, written in diary form, of Susanna’s life starting at the age of 12, long before her move to Canada. It filled in a few gaps and put an emotional spin on things. I loved it. Thank you so much for your recommendations, Naomi and for joining me today! I’m a reader, book blogger, and CanLit enthusiast from Nova Scotia. I guess I didn’t include links to my reviews, but they can all be found on my blog. My thoughts on Dazzle Patterns just went up today!